“Why can’t business software be as easy to use as buying a book on Amazon?” At the Dreamforce 2012 SMB keynote, Hilary Koplow-McAdams, President of Salesforce.com’s Commercial Division, told the crowd that this was the question that Marc Benioff, Salesforce CEO, originally set out to answer when he founded the company. When you think about it, this question was particularly prescient in 1999, when Salesforce was in start-up mode and conversations about the “consumerization of IT” were scarce. This perspective also provided a welcome breath of fresh air for small businesses, which were Salesforce’s chief target market at the time, and were in dire need of technology vendors that could keep things simple. 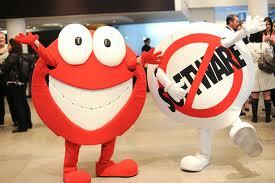 Fast forward to 2012 Dreamforce. As I discussed in my first post about the event, Drinking From the Dreamforce Fire Hose: Part 1, The Big Picture, Benioff showcased several large enterprise customers, a slew of new directions and offerings, and a compelling case for enterprises to buy into its version of the social enterprise. Salesforce.com has grown up and evolved into a multi-faceted company with a rich portfolio of technologies and solutions that extend well beyond its CRM roots. But with this kind of growth comes complexity. Even if Salesforce can make products Amazon-easy, can it tell the story so that SMBs “get it?” In addition, as combinations of products and pricing options multiply, will SMBs be able to wade through, figure out their best options, and be able to afford them? Yelp, the now well-known search and review site for local businesses, has grown from 2 employees in 1994 to over 1,000 employees today. When Yelp hired its first full-time sales rep for its original San Francisco site, it deployed Salesforce. Geoff Donaker, Yelp COO described how as Yelp branched out into new markets, it was “easy to expand with Salesforce.” Now in 18 countries and 90 cities, Yelp has 800 Salesforce users. Square, the mobile payments vendor, has grown to process $8 billion in payments/year, and 400 employees over the past few years. According to Sarah Friar, Square, CFO, “selling is a team sport” at Square, which uses Salesforce Sales Cloud, Chatter, and Desk.com for support. Square shared a demo of how Desk.com automatically brings tweets, Facebook posts, email and phone conversations into Desk.com to help it provide more responsive customer service. Carlo’s Bakery, made famous by the TLC reality show Cake Boss, featuring owner Buddy Valastro, served up the final story. Once Cake Boss started airing, “all hell broke loose.” The problem was, although the bakery starting getting millions of hits a day on their website, it wasn’t able to turn them into sales because Carlo’s Bakery was still a pencil and paper business and according to Valastro, “a lot of people have to interact to make a cake.” In about 8 weeks, the bakery switched from pencil and paper to Salesforce and Radian6 to convert more of its millions of Facebook fans and Twitter followers into customers, and get better visibility into its sales funnel. Carlo’s Bakery can take orders on iPads and mobile phones, and the orders come together in one system, which enables everyone to collaborate. The bakery now does $20 million worth of sales from its Hoboken store, has increased productivity by 60%, and improved customer experience. Collectively, Salesforce and its customers did a great job of summing up how cloud offerings–and Salesforce in particular–can give SMBs a faster, more user-friendly, and streamlined way to run their businesses. In some cases, these customers moved directly from Excel or from pencil and paper to Salesforce, illuminating both the ease and value of having real-time information access, anywhere from any device. So I’ll give Salesforce an “A” for telling the story. But, I’m experiencing some cognitive dissonance when I look at the plot line. Sure, Benioff’s big picture social enterprise vision is compelling for businesses of any size. But as I asked in my 2011 post, Is Salesforce.com Outgrowing SMBs?, can the average small or medium business put the piece parts together? Thankfully, the company does seem to have put a simple naming convention in place (and renamed several acquisitions accordingly), but I’ve lost count of how many solutions Salesforce provides…along with what’s included in what. For instance, Salesforce Touch is included as part of Force.com. But do most SMBs even buy Force.com? And if they don’t, can third-party development partners somehow pass relevant Salesforce Touch capabilities through? Likewise, the question of how much it will cost for SMBs to become a social enterprise ala the Salesforce model is also cloudy. Fortunately, Chatter is included in all Sales Cloud editions. But how many small businesses can jump from Group Edition ($15/user/month) to Professional ($65/user/month) to get some fairly basic marketing functionality such as email marketing, campaigns and analytics snapshots. And what about Salesforce Marketing Cloud, which starts at $5,000 per month? When it comes to software (on premise or in the cloud!) SMBs don’t want mystery. They want solution clarity, and transparent, predictable pricing. At the upper end of SMB, companies may have enough staff, expertise and time to sort through and figure this out–or the budget to hire a consultant to do it for them. But, many smaller businesses won’t have these resources. So I need to give Salesforce a “C“ when it comes to making it easy for SMBs to identify, assess, configure and price the best mix of Salesforce solutions to turn the social enterprise vision into reality. And, while Salesforce will likely rely on its partners to help SMBs navigate these areas, it seems difficult to see how partners can profitably provide the services SMBs need to evaluate, select and deploy the right formula of Salesforce solutions. How will Salesforce.com grow and remain true to its small business roots? Most software vendors have found it very difficult to succeed in both large enterprise and small business worlds. Can Salesforce succeed where others have failed? I’ll be looking forward to Dreamforce 2013 to see if the details are as clear as the vision by then. This post got me thinking. To me, Salesforce’s difficulty lies in framing a story of the “social enterprise” which begins from CRM, which is Salesforce’s forte. But “social enterprise” is larger and touches upon multiple aspects of the organization like CRM, ERP, collaboration, marketing, organizational design etc etc. It’s doing well being a thought leader in the social enterprise space so far. Only time will tell if this limitation proves to be too much.